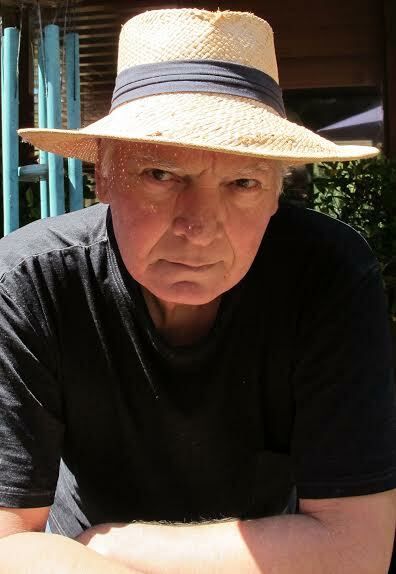 Artist turned crime writer, Barry Weston was born a Capricorn in Brisbane, Queensland. He now lives with his wife and two chocolate Labradors on a few acres on a small island south of Hobart, Tasmania overlooking the Great Southern Ocean. In previous lives, Barry gained employment as: a car-park attendant, advertising salesman, commercial printer, private teacher, railway porter, an ‘outee’ Painter and Docker, roof-painter, sign writer, cleaner, hotel barman, ‘security attendant’ and through such employment, he came in contact with a host of ‘characters’, and thereby gained an insight into and understanding of the ethics of the ‘knock-about’ bloke; and the downside of the wrong/right coin. Barry is a graduate of the University of Tasmania with a Master’s Degree in Visual Arts. His forty-odd-year career within the visual arts consists of thirty-eight solo/group exhibitions, regionally, nationally and internationally. He has taught visual arts at tertiary level at a few Australian universities, and was Artist-in-Residence at a few others. After resigning his position as Head of Department in 1999 and relocating to an island life-style, he left the studio doors ajar but now focuses primarily on writing. The Long Con is his debut novel, and first in the Tasmanian Private Investigation Agency trilogy. The second in the series, ‘The Big Rort’ is to be released in late January, early February 2018. You can visit Barry at his own website, www. Barryweston.net/about. and download Chapters 1 & 2 for free.